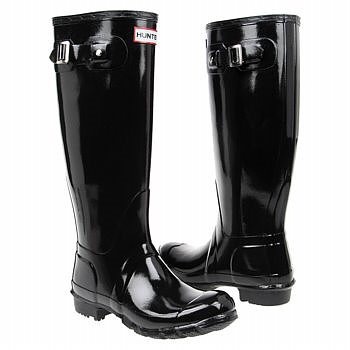 Hunter Boots have been a favorite item in many mom’s closets. They are a fashion trend of rain boots that you will see all over Pinterest. They even make them for kids! 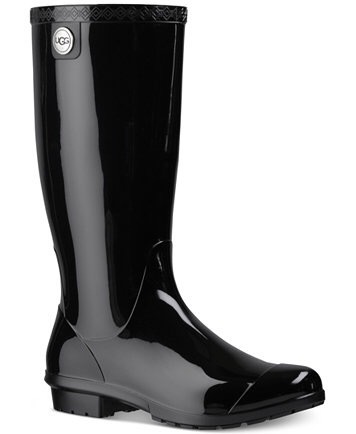 Women Hunter Boots range from $120-$170, depending on where you buy them. Did you know there are other rain boots that are not as expensive and look similar? UGG Rain Boots are a solution to not wanting to spend over $100 on rain boots. This article will compare the two rain boots and let you make the decision what you will choose. Hunter Boots are really great for women who have skinny calves. My calves are large so for me to get them into these boots, I had to buy a large size. The benefit of buying these are that they are name brand. The front logo is what everyone is looking for. They also have many different colours and designs on their boots, which give you a many to choose from. The price usually ranges from $110 to $180, depending on where you buy them from. The most common boots bought are black and red. My suggestion is that you try them on first before purchasing them because the boots are pretty flimsy by the feet. It might not be something you like but make sure to go through a company with free returns! Did you know you can buy UGG Rain Boots on Amazon? Any time I can order something on Amazon, it is most often on Prime. What are the benefits of buying UGG Rain Boots? The boots had a comfy pillow like bottom inside the boot. This was perfect since my other rain boots kept my feet freezing. These boots come in black and they make the boots ankle or high calf. Although I would have loved to have the Hunter Boots because of the logo on the front, these were a good alternative and way cheaper, $80! Finding rain boots is an important part of many seasons and outfits. It is suggested that you go and try on both pairs of boots and see which fit you best. So, which will you choose? Pleased you finally got sorted, it’s nearly Spring now ? Lolll oh no the winter is still long ! good get your monies worth out of them !